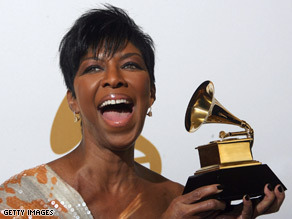 Natalie Cole has been battling with Hepatitis C and undergoing chemotherapy treatment for a minute now. The singer underwent kidney transplant surgery at a Los Angeles, California, hospital Tuesday, according to a statement from her publicist. Cole, daughter of legendary singer-actor Nat King Cole, has been receiving kidney dialysis three times a week since September, the statement said. Cole was “resting comfortably” at Cedars-Sinai Medical Center in Los Angeles, it said. “Ms. Cole's physicians have advised her to postpone her summer tour dates as she recuperates for the next three to four months,” it said.